We started raising bees when our children were very young and as they have grown, so has the size of our apiary. From our earliest beginnings at Bee America, we have been committed to sweetening your life with the goodness of pure American honey. Our family enjoys working together to provide you with the best quality honey, both from our own hives and from unique regions around the United States. We strive to educate our customers about the whole honey experience—from how it is made by industrious honeybees in the Kids’ Corner to how to best enjoy it by making some of the scrumptious recipes featured on our website. -Bee America is a family-owned company with headquarters in Bethesda, Maryland. A beautiful smile can brighten your day. Our Moisturizing Honey Lip Balm is made with the highest quality ingredients that are carefully blended to create a luscious lip balm. It glides on silky smooth and its subtle honey fragrance lingers on your lips. We designed this lip balm to be uplifting and its scent and texture combine to help elevate your mood and lighten your spirit. I love this Moisturizing Honey Lip Balm! It works great to soften dry lips and uplift your mood with its sweet scent. I put it on and had soft lips within a few hours. I particularly love the sweet honey smell and taste. The lip balm glides on smoothly and stays on your lips well. I also love that the ingredients are simple yet effective. 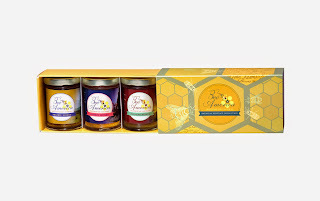 Click HERE to purchase the Moisturizing Honey Lip Balm. The perfect gift for any occasion. Order a trio of artisanal honeys from our American Heritage Collection and have it arrive handsomely presented in our beautiful gift box sets. Liberty Honey - embodies the bold spirit of 18th century America. 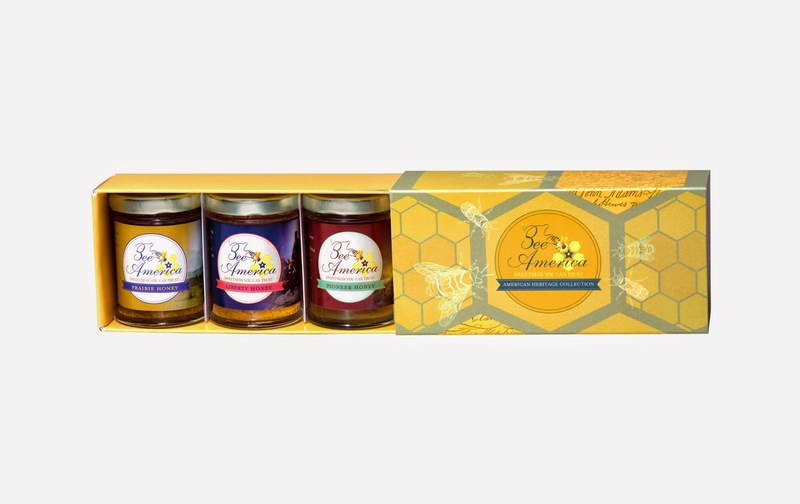 Liberty Honey is a unique blend of carefully crafted honeys that capture the fresh and fragrant nectar from flowers abundant in Colonial times. Pioneer Honey - characterized by its robust taste and sweetness. Pioneer Honey is reminiscent of the blend of wild flowers that flourish at the forest edge where American pioneers tended their straw hives or skeps in glades of the Ohio River Valley. Prairie Honey - reflects the open fields and spacious skies of the vast Western lands. Prairie Honey is infused with an airy lightness that is bursting with the captivating scents of the abundant flowers from the Great Plains. The American Heritage Collection gift box sets feature exquisite etchings of bees alongside honeycombs embedded with signatures from the Declaration of Independence - evoking a historical link with America's past. I loved all three of the honeys in the American Heritage Gift Box Set! I used them in my tea for a bit of sweetness but also loved to sneak a taste when I was looking for something sweet. All three honeys tasted pure and sweet but had a more elegant taste compared to your average honey. Each honey had a delicious but distinct taste. Bee America's gift box is embedded with signatures from the Declaration of Independence and has a cute colonial style to it. This would make a perfect gift for anyone who loves honey. Click HERE to purchase the American Heritage Gift Box Set. Follow Bee America on social media!